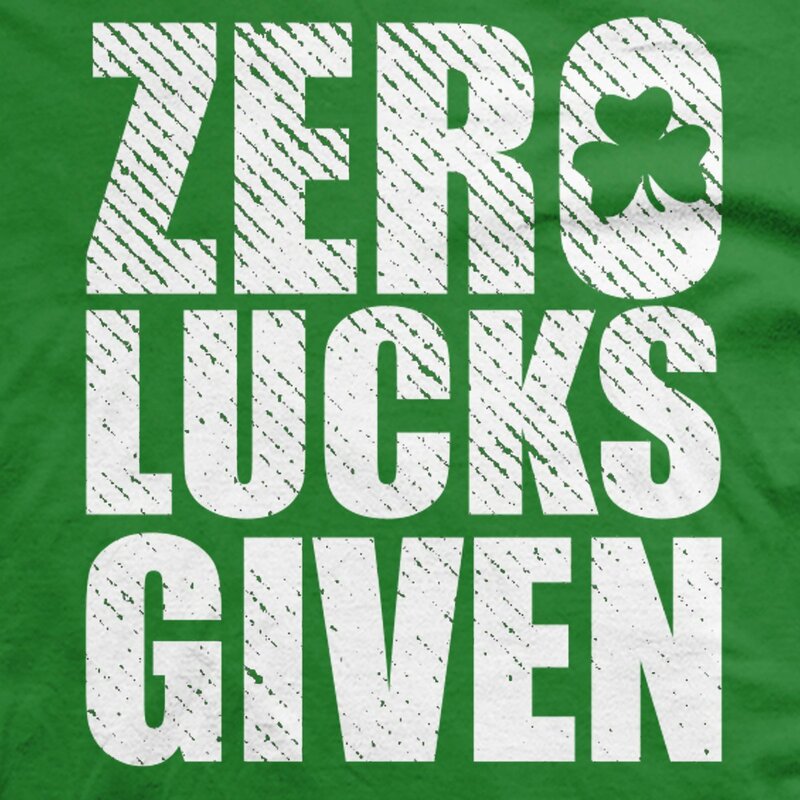 If St Patrick’s Day is your one and only time to let caution and care take some time off, we think you’ll surely appreciate the Zero Lucks Given t-shirt from Guerrilla Tees. 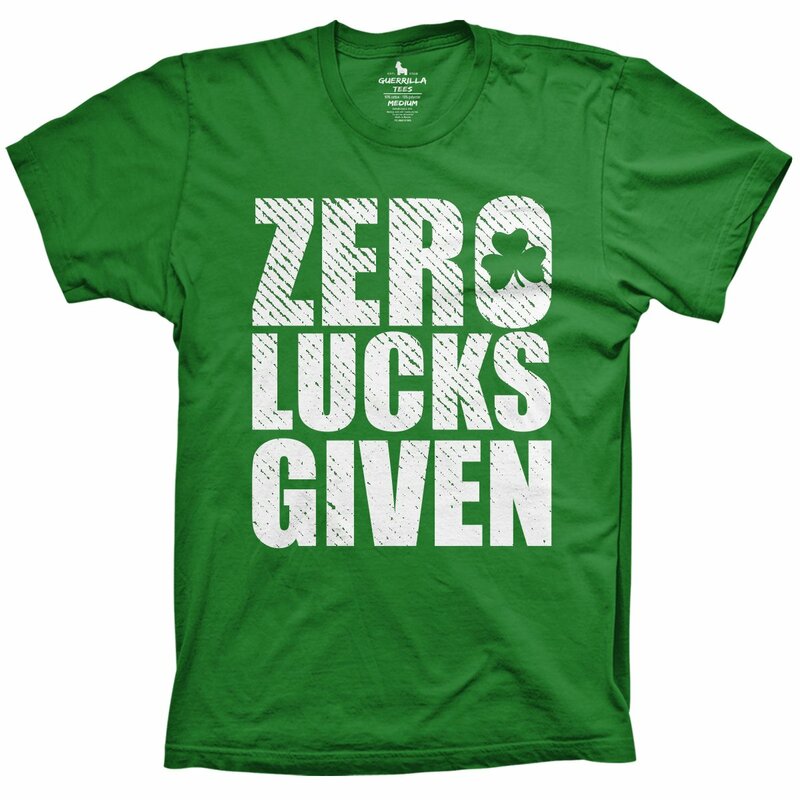 The wordplay is perfect for those with a playful sense of humor, and its Emerald green design with bright white lettering leaves no question as to the point you’re trying to make. It will look great at the bar or while enjoying the St Patrick’s Day parade, and is guaranteed to make for a memorable mugshot should things get more interesting than originally planned. See More Funny St. Patrick's Day Graphic Tees! 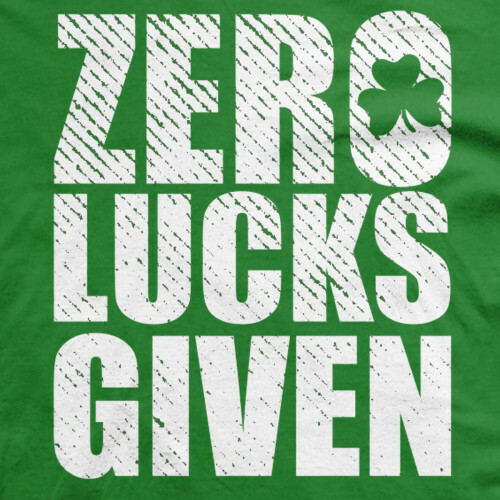 Our selection of funny Irish and St Patrick’s Day shirts is among the most extensive anywhere online, see them all and find the one that’s perfect for your next booze-filled adventure!